PR had a breakout year at Cannes, stemming the dominance of ad agencies by winning a Grand Prix award, as creative content replaced social at this year's festival. Cannes Lions may be over, but the buzz continues to build as marketers head home and apply what they have learned. PRWeek teamed up with MSLGroup and top brand innovators to host a discussion at Cannes about how best to reach Millennials. 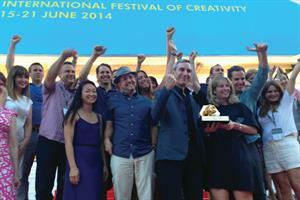 Cannes this year represented incremental progress for the communications industry. MSLGroup hosted a discussion entitled Trendstalking: A Lively Convo on Cannes & Creativity. Agency pros often feel the time crunch by clients, but that is nothing compared to this year's Cannes Young Marketers. CANNES, FRANCE: Martin Sorrell, the founder and chief executive of WPP, reveled in the collapse of the proposed $35 billion Publicis Omnicom Group in Cannes this week. Facebook COO Sheryl Sandberg believes that general equality in the workplace remains decades away, she told an audience at the Cannes Lions Festival of Creativity on Wednesday. The Baywatch and Knight Rider star is schmoozing in the south of France as part of a social media experiment coordinated by the newly rebranded Golin. Renee Wilson, outgoing president of MSLGroup North America, has been named jury president of the PR Lions at the Cannes Lions International Festival of Creativity. CANNES, FRANCE: Advertising agency McCann Melbourne won the Grand Prix at the 2013 Cannes PR Lions on Monday for its campaign for Australian rail service Metro Trains Melbourne. Even the tardiest visitor has wended their way back from the south of France and co-workers have grown sick of war stories from Cannes, but it's worth taking one more glance back to identify learning that will inform work over the next 12 months. CANNES, FRANCE: Ketchum shone in the shortlist for the 2013 Cannes PR Lions, with 10 nominations from across the Omnicom firm's global network in with a chance of taking home an award in a ceremony in the south of France later today. PRWeek editor-in-chief Steve Barrett catches up with WPP's CEO and talks awards, integration, convergence, PR, disappointing WPP agency performance, CMOs and technologies, and analogies with British soccer legend Sir Alex Ferguson. PRWeek editor-in-chief Steve Barrett talks to Coca-Cola's VP of global connections about the drink manufacturer's move into content and media ownership, putting owned media first, the PESO mix, and the challenge of measuring effectiveness. David Gallagher, senior partner and CEO for EMEA at Ketchum and chair of the Cannes PR Lions jury, discusses agencies' wins and how the PR competition is a showcase for global creative work.